Metadata can hurt business - OMG! In 2014 I met a young researcher in Melbourne named Evelyn Vo. Six months earlier I had marked her honours thesis and once that process was complete, I let her know through the university that I thought it was a ripper. She was awarded a 1st Class honours degree so others thought so too. Some years later I returned to commercial publishing and Evelyn agreed to have her thesis edited and published as a commercial book by Strictly Literary. All That Data is the result. And it has some very interesting information for businesses going digital. She discovered that a marketing practice known as "commercial stalking" can affect (negatively) user relationships with social networking websites and associated companies. 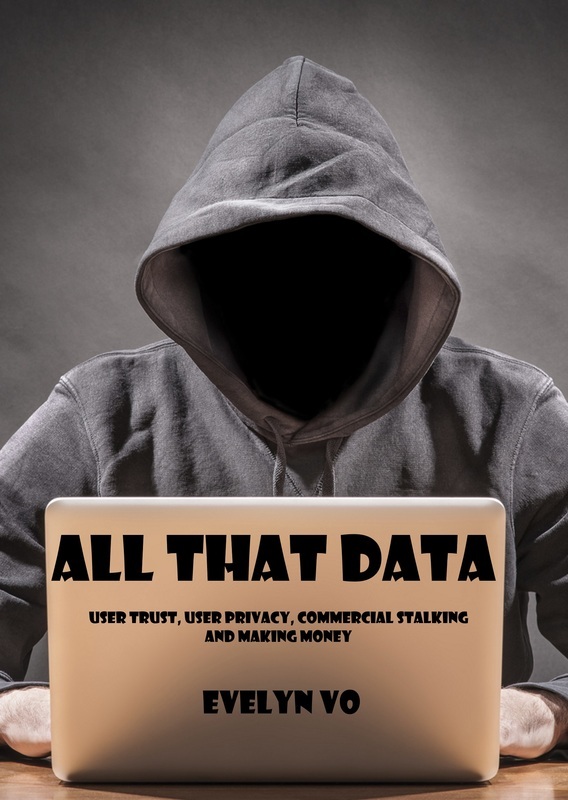 "Commercial stalking" is defined in her book as a method of data collection used within social networking sites in which organisations track user behaviour and online activity, often unbeknown to the user, to inform targeted and personalised advertising. Evelyn examines the relationship between trust and information giving on social networking sites where commercial stalking and targeted advertising occur and discovers that user trust towards social networking sites often drives or limits the amount of information users provide online. All That Data provides empirical evidence that marketing practices which can undermine trust, such as commercial stalking, can increase the difficulty for social networking sites to collect user information. So, in some cases, companies tracking users can be counter-productive for those companies. Food for thought (not cookies)! Available on Amazon for Kindle or in print from our Lulu store (just click the cover image above). We're all about changing to improve. We change ourselves, we change you.